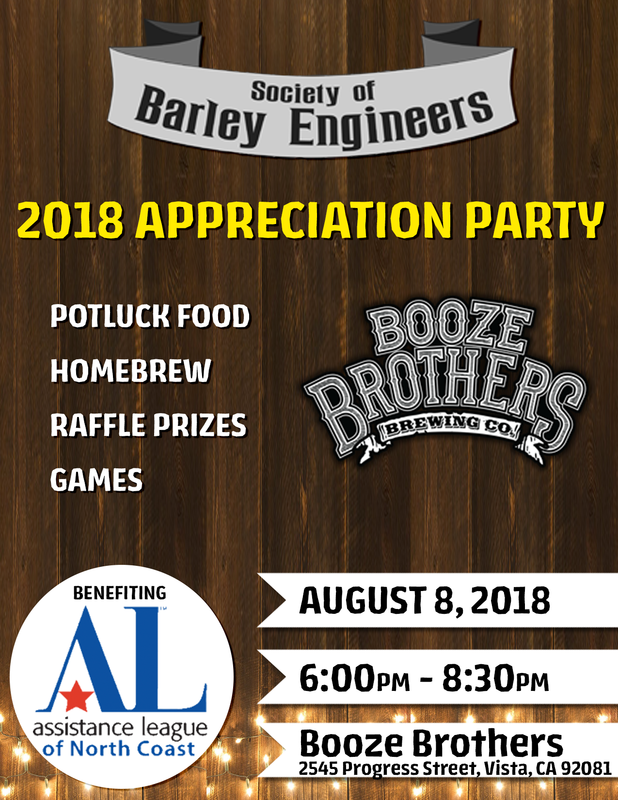 You are invited to the 2018 Booze Brothers Appreciation Party hosted by our very own club, Society of Barley Engineers. The beer being served will be that which was created from the Big Brew back in June! Can’t wait to see all the different creations that club members came up with and all the reactions from visitors and charity supporters. This is sure to be a great event.